How Good Does Blue Taste? My apologies, everyone, I have been having technical difficulties this week. (Of all weeks, right?) Anyway, it’s Friday. We can save the 24 million fewer Americans insured under Trumpcare until next week, right? 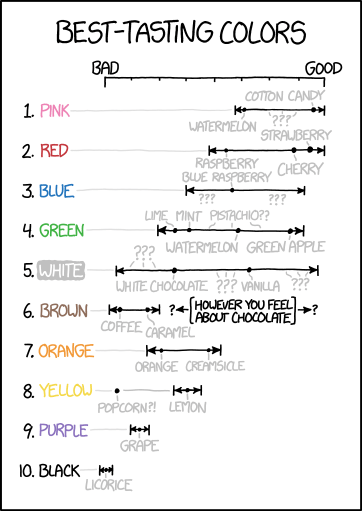 Author Brendan BarryPosted on 24 March 17 4 April 17 Categories InfographicTags box plot, infographic, just for fun, xkcdLeave a comment on How Good Does Blue Taste? Posting lighter-themed content on Fridays seems all the more important now. 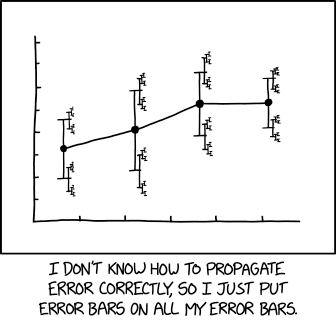 So here’s this Friday: a piece on box plots from xkcd. When I was over in London and Dublin, most days were cool and grey. And a little bit rainy. Not very warm. (Though warmer than Chicago.) But, that is weather—highly variable on a daily basis. Climate is longer-term trends and averages. Years, again, can be highly variable—here’s looking at you kid/El Niño. But, even in that variability, 2015 was the warmest year on record. So the New York Times put together a nice interactive piece allowing the user to explorer data for available cities in terms of temperature and precipitation. You can see the big chart is temperature with monthly, cumulative totals of precipitation. (I use Celsius, but you can easily toggle to Fahrenheit.) Above the chart is the total departure of the yearly average. Anyway, I took screenshots of Philadelphia and Chicago. Go to the New York Times to check out your local cities. Credit for the piece goes to K.K. Rebecca Lai and Gregor Aisch. As Massachusetts and Maine celebrate Patriots’ Day, the Boston Red Sox are set to play their earliest game of the year with an 11.00 start time. (Yes, there is also a marathon today.) So after two weeks or twelve games, the question people want answered is what Red Sox do we get this year? 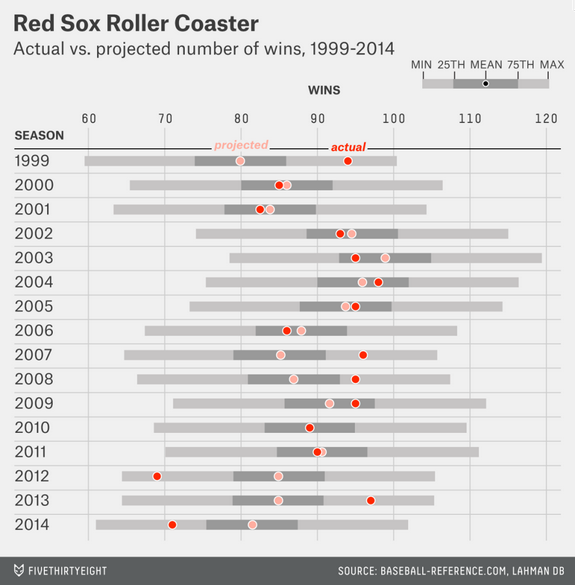 FiveThirtyEight looked at what they called roller-coaster seasons of late, primarily using a box plot graphic to show just how much whiplash Boston fans have endured of late. So who are the Red Sox this year? The cellar dwellers of 2012 and 2014? Or world champions like in 2013? Who knows? Author Brendan BarryPosted on 20 April 15 11 November 16 Categories InfographicTags baseball, Boston, box plot, charting, data visualisation, FiveThirtyEight, infographic, information design, Red Sox, tablesLeave a comment on Who Are the Red Sox? 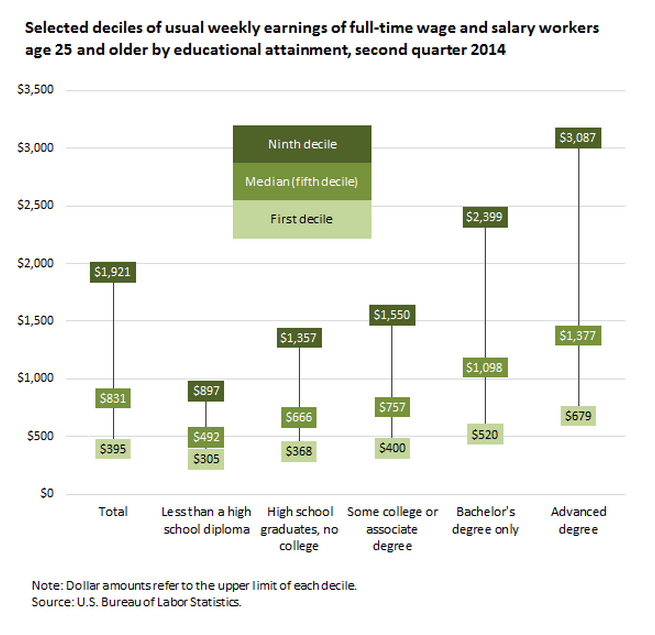 Vox has a piece that uses a modified version of a box plot to compare earnings of individuals based upon their level of educational attainment. Credit for the piece goes to Danielle Kurtzleben. …forty minutes late with an iced coffee? It’s what we millennials do since we don’t understand that time exists between 04.00 and 10.30. Don’t believe me? 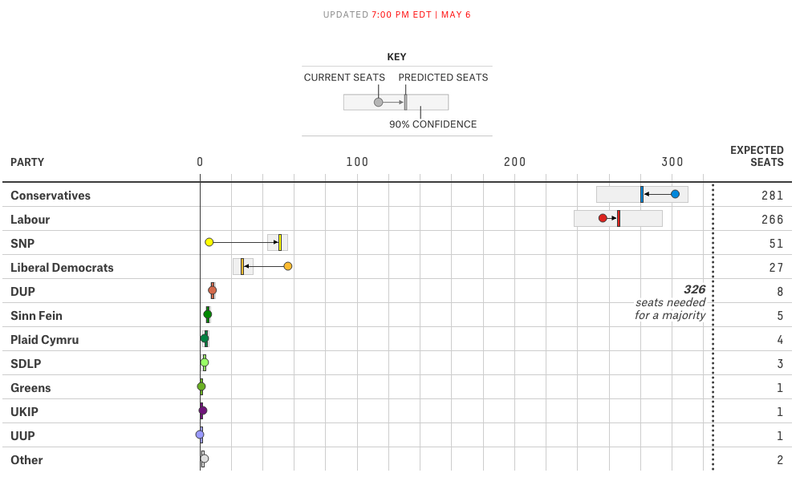 Well, Nate Silver over at FiveThirtyEight crunched the numbers and it turns out that there is some truth in the humour. 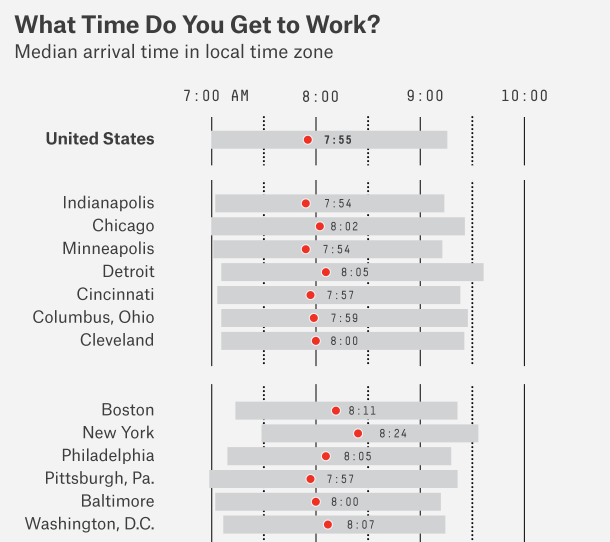 Cities with a younger, more millennial workforce tend to see workdays start later. Credit for the piece goes to Allison McCann.